In Florida, felony probation conditions vary on a case-by-case basis. Many factors are taken into consideration including if you are a first-time offender or a repeat one. 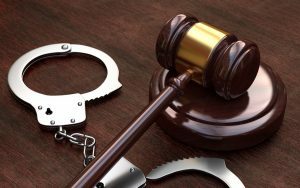 The type of crime you are charged with is also taken into account when it comes to Florida felony probation. The attorneys at Hackworth Law are here to help answer any questions you have about the conditions of felony probation. Listed below are just a few consequences you could face as a part of your probation. Lose Driver’s License- When you are charged with a drug crime, you can potentially lose your driver’s license when you are on probation. Drug Testing- You can be required to visit your probation officer for scheduled or random drug testing. The process can happen when you are checking in with your probation officer. All cases are different, but drug testing is the main part of being on probation, especially if you were charged with a drug crime. Curfew- Your probation conditions may go as far as implementing a curfew for you to follow. Inquire more about the conditions for felony probation or VOP in Florida by calling our law firm at (813) 280-2911 to speak with an experienced attorney. This entry was posted in Blog, Criminal Defense and tagged Florida Felony Probation on May 14, 2018 by HV SEO.